The more time I spend writing, the more I realize the truth in this statement. It’s amazing how much I’ve learned about myself because of the writing process, and I keep having these little flashes of insight that jump out and surprise me. Sometimes, they even shock the hell out of me. Right. Exactly. Which probably meant it should have been a conscious thing. Yet, the more I think about my writing, the more I realize there are things coming out that I never even really knew were in my head, and the meaning I’ve been able to derive from those things has impacted me in various ways over the years. Some, trivially. Some, of vital importance. Somewhere in the middle range of that would be about where I’d put the insight I got tonight while thinking about the latest manuscript I’m attempting to wrestle out of my brain. After three solid months of flying over my keyboard and producing three complete 90-100k word manuscripts, I came to a screeching halt when I tried to attack the fourth. That was in November, and I’ve pretty much been dragging the brake pedal ever since. Four months of almost zero progress. Ugh. It drove me nuts. (Alright, that’s already too many automotive-related metaphors. Clearly I’ve been working in the family business too long). I feel a massive void when I get writer’s block, like a piece of my soul is missing. It gets to the point that I want to tear my hair out and throw a fit because I can’t understand why. And, of course, I can’t just step back and let it go, give myself a breather, and come back to it later. I keep trying to force it, which, of course, never works. -I’m not exercising enough, so maybe I need that to clear my head. Except, well, really, I’ve gotten along with my writing just fine without exercise before. -I’ve been under a lot of stress at work for the last year. And that’s an understatement. But now that stress is (mostly) behind me, and has cleared a TON of space in my head. So it shouldn’t be an issue, right? -I’m suffering a bit of a personal crisis, one that is difficult to talk about in the decidedly red zone in which I live. Hell, it’s the kind of thing that’s not even often accepted in blue circles; and, since I quite decidedly subscribe to neither of those colors, it leaves me feeling a bit stuck in the middle. But, surely, since my writing has always been an escape from real life, why should this one issue hold me back when others in the past have not? -It’s this time of year. I always get stuck this time of year. Right? Maybe? No, maybe not. -I’m too distracted by excitement over releasing The Prisoner at the end of the month. Yes, true, quite true, but even that shouldn’t really be stopping me from staying on schedule with the rest of the series. Well, then, WHAT THE HELL COULD IT BE?!?! Thus, we arrive at a moment, earlier this evening, whilst in the shower (and, really, why is it that those flashes of insight or plot inspiration always happen when one is covered in soap and nowhere near a pen or a keyboard?!?! *sigh*). All along, these last several months, I’ve been laughing at myself over the fact that I can see bits of myself in many of my main characters in this upcoming series, and was inwardly joking about which one most closely resembled me. Then it hit me: The protagonist in the current manuscript is someone with whom I absolutely cannot identify whatsoever. Bloody hells, why did I not realize this before? Then, in a rush of tumbled thoughts that followed that insight, it struck me immediately, over the course of all my work, which books were easiest to write and which were most difficult. Wanna guess which were most difficult? Yeah, the ones with protagonists I just couldn’t get into, because it was unfamiliar territory. 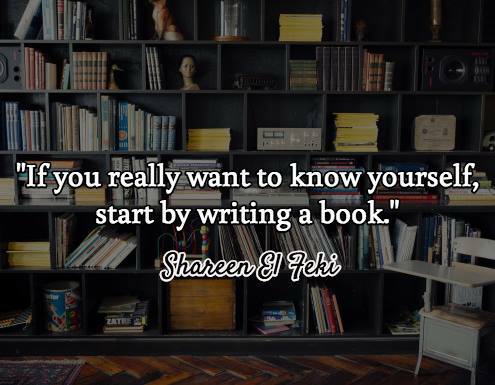 And if I as the writer can’t identify with a character, how in seven hells am I going to make him or her convincing enough for a reader to identify with as well? In Hale and Farewell (Lethean Trilogy, Book 3), Hale is part of a team out of necessity but is naturally an independent player. She likes to work alone. Yep. Me. In The Prisoner (forthcoming work), Benash loves his routine. Even though he really hates it, he also loves it because it’s safe and reliable. Yep. Me for sure. In S.P.I.R.I.T. Division (forthcoming work), Asenna is a neat freak, a bit OCD, and a perfectionist. Sounds familiar. In Return to Tanas (forthcoming work), Graeden doesn’t like restrictions and regulations, especially when the prevent him from doing the right thing, or something he wants to do that would harm no one. As a libertarian / anarchist myself, that’s remarkably familiar territory. And so on and so forth. Then I compare these to the two books so far that have given me the most trouble. In Uncommonly Strong (Lethean Trilogy, Book 2), I had a remarkably difficult time writing Joseph and Sati’s story. Joseph I could semi-sorta relate to, but writing Sati was like pulling teeth. With tweezers instead of pliers. I loved writing that couple. I loved their quirks, their relationship, everything about them. Thomas and Spencer were so ridiculously easy to write. Thomas was the real hero of the story. Not Joseph. Thomas. The one who was always supporting Joseph and doing everything he could for the sake of Joseph’s happiness. The rock in the family, despite his own sufferings. The one who always put aside his needs and feelings in order to make sure everyone else was alright first. Thomas was the one in the hospital urging Joseph to hold on, and there was no way Joseph was going to survive that moment without his brother’s support. Why the hell didn’t I write that story with Thomas and Spencer in the lead roles? Looking back, that would have made much more sense, and it all probably would have fallen together a lot more easily than it did. Then I look at this current manuscript with which I’m struggling (Broken, Book 4 in the next series), and I realize that there is absolutely nothing about Daivid that feels familiar. Nothing with which I can identify. No wonder writing him feels like pulling teeth all over again. Clearly, I’m going to have to go through a few dozen more “What if” scenarios to see if I can’t tease out the right detail to make Daivid’s story work. Because, if I can’t, then the rest of the series either falls apart or remains at a grinding halt. And I am so ridiculously eager to get to the book and series that follow this one (gods, I must be insane, juggling all these story ideas in my head), that I simply must make this one work so that everything will tie neatly together and progress the story along. Next postThe Prisoner — Now available!